Philadelphia Academy of Music Restoration | John Canning & Co.
Canning Co.’s determination to expose and define the original design scheme for the Philadelphia Academy of Music involved analysis of up to 16 layers of paint in some areas and aggressive exposure methods to reveal faintly ghosted patterns. 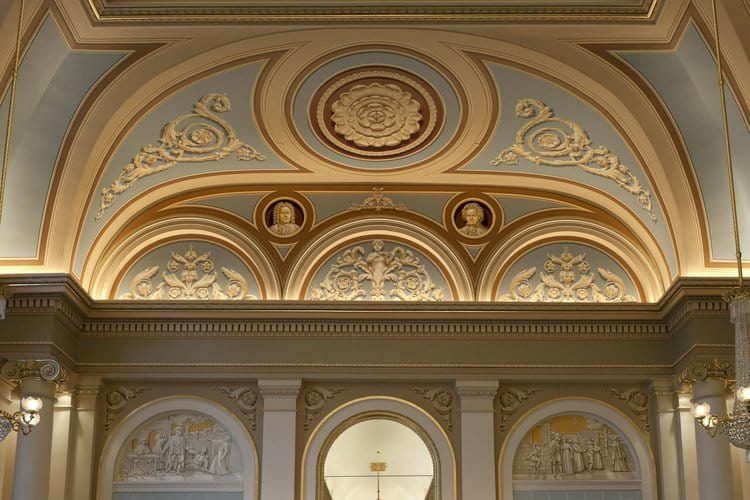 John Canning Co. consultation began with an historic paint analysis, investigation and exposures, and a plaster conditions analysis in the Academy of Music ballroom. 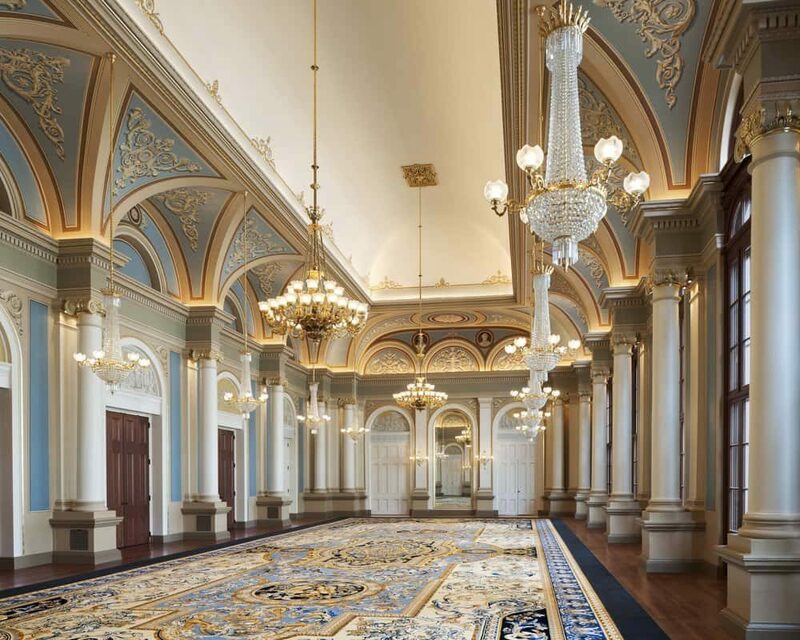 The work to be restored in the ballroom was completed in 1857. We referenced an 1860 photograph to inform our meticulous replication of the original design scheme. Where we could not determine the original decoration, we created new decoration working in the established style. AIA Institute Honor Award for Interior Architecture.